Manchester United secured a comfortable 1-0 victory (4-0 on aggregate) at the Stade Geoffroy-Guichard to cruise past French side St Etienne and book their place in the Europa League last 16. Henrikh Mkhitaryan's 16th-minute strike proved to be the only goal of the game as Jose Mourinho's side warmed up for Sunday's EFL Cup final against Southampton - live on Sky Sports - with a fifth straight win. However, the victory could have come at a cost for United ahead of Sunday's Wembley showpiece after Mkhitaryan and Michael Carrick were both forced from the field with hamstring and calf injuries respectively. Jose Mourinho revealed post-match that both players will almost certainly be missing for the trip to Wembley. The visitors also had Eric Bailly sent off in the 63rd minute after two bookings in quick succession and the defender will now miss the first leg of United's last-16 tie. United, who have lost just one of their last 25 matches in all competitions, turn their attentions to Friday's Europa League last-16 draw, which takes place at 12pm GMT in Nyon, before taking on the Saints on Sunday. With a healthy aggregate lead after their 3-0 win at Old Trafford in the first leg last Thursday, Mourinho would have been forgiven for resting a number of first-team stars with Sunday's final in mind, but the United manager took no chances, naming a strong side which included Zlatan Ibrahimovic, Paul Pogba and Mkhitaryan. 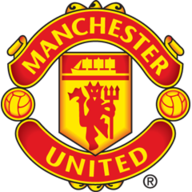 The move paid dividends with United, who were watched from the stands by former manager Sir Alex Ferguson, making a solid start in what was a hostile atmosphere in eastern France and they took the lead in the 16th minute when Mkhitaryan flicked home from close range after being picked out by Juan Mata's inch-perfect cross. St Etienne were struggling to get any foothold in the game and they were almost two down when Mata had space and time on the left to get a cross into the box, forcing goalkeeper Stephane Ruffier into a smart save after the ball deflecting off Vincent Pajot. Despite their dominance, United suffered a huge blow in the 26th minute when goalscorer Mkhitaryan was forced from the field after picking up a knock, putting his participation in Sunday's final into jeopardy. Marcus Rashford came on to replace the Armenian and he was nearly on the scoresheet moments later, but he could not get on the end of Ashley Young's cross. 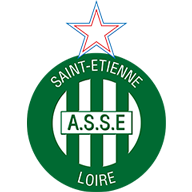 Needing at least five goals to progress, St Etienne were up against it but they had a glorious chance to equalise when Loic Perrin met Jordan Veretout's free-kick, but the St Etienne skipper could only head straight into the arms of Sergio Romero. United's goalkeeper had to be alert again moments later as Kevin Monnet-Paquet got goal-side of Bailly, but Romero was quickly off his line to get a vital foot to the ball with the French winger ready to pounce. After the break, Marouane Fellaini smashed into the side-netting and Ruffier got down to stop a Paul Pogba strike as United threatened a second, before Carrick went off with a calf problem. That change was sandwiched between Bailly's bookings in the 60th and 63rd minute for fouls on Romain Hamouma, leaving Mourinho understandably frustrated. Florentin Pogba fired wide before younger brother Paul glanced a corner just off target at the other end. Substitute Rashford and Ibrahimovic, jeered all night by the home fans, failed with late efforts, while Jorginho stung the palms of Romero in stoppage time as the home fans continued to roar on their team. But in truth it was a comfortable night for Mourinho's men as they booked their place in Friday's Europa League last-16 draw.